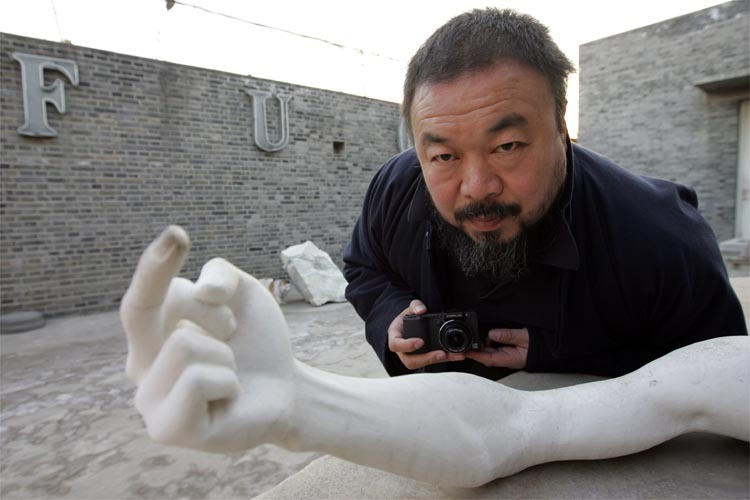 On the Spectre mailing list for ‘media culture in Deep Europe’ an intense debate has erupted about calls for support for the Chinese artist Ai Weiwei, who was recently detained by Chinese authorities. Below is the call distributed on the list. Please decide for yourself if you want to support this cause or not. Michael Schindhelm, cultural director for The Executive office of the Government of Dubai,speaks wIth Ai Wei Wei, chinese artist, at his home in Beijing, China, Saturday, December 14th, 2007. “On April 3, internationally acclaimed Chinese artist Ai Weiwei was detained at the Beijing airport while en route to Hong Kong, and his papers and computers were seized from his studio compound. Sign now! we need to reach 100,000 signatures! ‘The members of the international arts community express their concern for Ai’s freedom and disappointment in China’s reluctance to live up to its promise to nurture creativity and independent thought, the keys to “soft power” and cultural influence. The initiative has been taken working closely with Jerome Cohen, the leading Chinese human rights lawyer who is working on Weiwei’s case, and who believes that this action could be effective. This entry was posted in Art Under Siege. Bookmark the permalink.